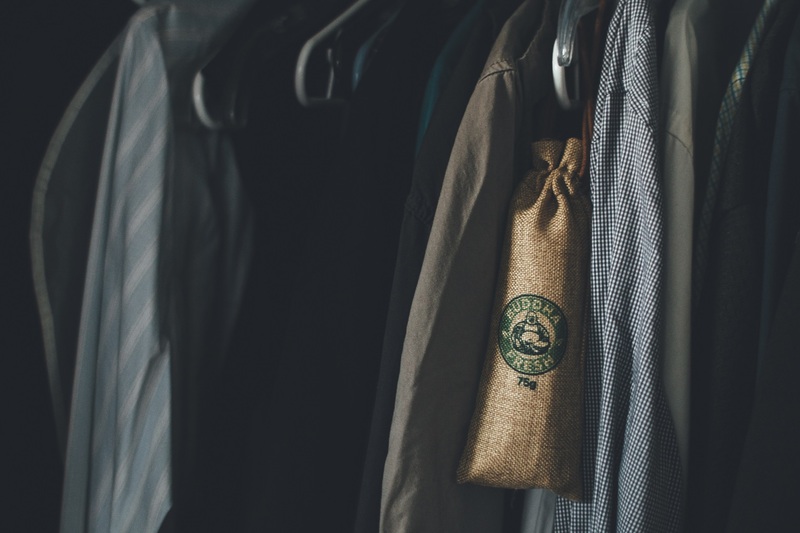 Over the last few years, I’ve vowed to live a more sustainable life. Whether it is making more conscious decisions when it comes to buying groceries and produce, to household electronics that save energy or daily cleaning products that minimize the amount of toxins released into the home. When I was approached by a new up and coming company Buddha Fresh, about two months, introducing me to their new all-natural air freshener that was coming out, I was of course intrigued and curious to try it myself! Buddha Fresh is an all-natural alternative to chemical air fresheners. It uses 100% bamboo charcoal that naturally absorbs and not only eliminates odors, but naturally purifies the air to remove chemicals, bacteria, pollutants and allergens in the air in your home, or car. 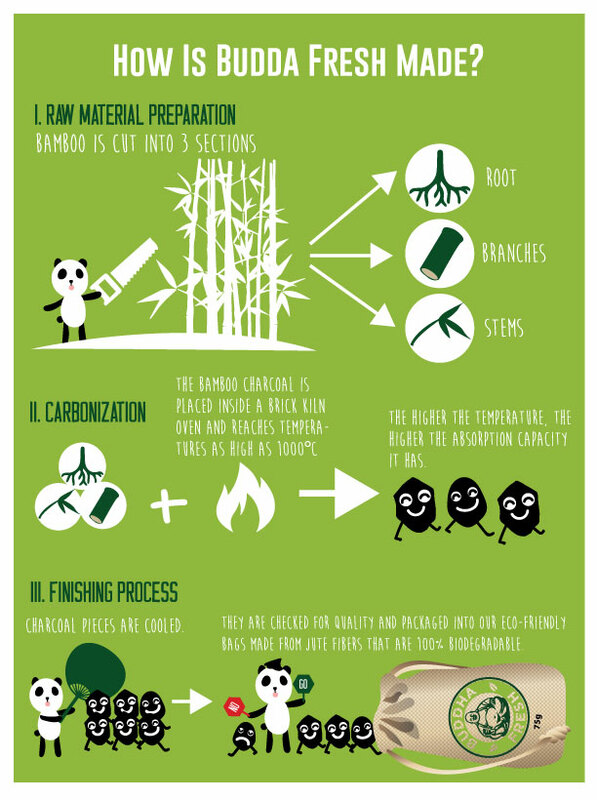 Before Buddha Fresh, I never knew that bamboo was actually one of the world’s most sustainable materials, and that bamboo charcoal is a natural air purifier. If you’re like me, I avoid using most household air freshener sprays or those fragrant deodorizers, because they often fill the house with such strong odors that, along with not fully eliminating the smells, they make it hard for one to actually breath in a room that has been sprayed. Not only is that harmful for adults, but even more so young children and pets. Which is why when I received my very own Buddha Fresh package I was happy to see that it was scent free! You might question how could it work if it doesn’t have a scent but it definitely does. Just check out this fun chart, I learned so much from it! Buddha Fresh is meant to used in just about every living space; your kitchen, closets, gym bags, cars, and even the refrigerator. I put one of them inside my closet and the other in the kitchen. It’s hard to notice the difference it’s making in my bedroom, but I’ve definitely noticed how much less odors linger in the kitchen, and in just a week! Most households, have their garbage bins inside cabinetry, as do I, and they often start to smell pretty bad after two days, worse if remnants from a fish dinner are thrown in there or old food from the fridge. So my garbage is guilty of smelling, but not with Buddha Fresh. I was so impressed! The best part is that it’s reusable. Once of month you just place the charcoal bag that’s inside in direct sunlight for an hour to re-activate the charcoal. It lasts up to two years, and can then be recycled back into the earth. Just think how much money you will save on fresheners in two years using Buddha Fresh! I was very impressed, and I’m looking forward to see how it upholds the rest of the month, especially in the kitchen! Buddha Fresh officially went live selling the product yesterday on their Kickstarter Campaign page, so if you’re just as curious as I was, you should definitely try it out! Here’s another fun diagram showing you just how this all-natural fresher is made! Sustainable living is about making small choices that will better our own lives, but in turn better the earth we all live. This post is brought to you by Buddha Fresh and all opinions are those of The Dreamery. To learn more about Buddha Fresh’s new product go here.